If you're looking to carve time for winter sports this weekend, there are hills close to home with runs ready. On Thursday, Winsport announced the ski and snowboard hill at Canada Olympic Park will open for the 2018-19 winter season on Saturday. Nakiska, Norquay and Lake Louise and Sunshine will open on Friday as well. There will be limited terrain ready starting Saturday morning. Snow-making crews were able to blast snow guns all week because of the cold weather — creating a cozy layer for hill-goers to bomb. "Our crews were able to keep the snow guns blasting non-stop, around the clock for the entire week which created a nice base of snow to allow us to open the hill," said Mike Tanner, WinSport's director of venues in a prepared release. "We'll keep making snow as the weather permits and will continue to open other areas and features of the park in the coming days." The Legacy chair and beginner area are both open, giving people access to the west side of the main hill and a number of boxes and rails are ready too. The hill opens Saturday at 9 a.m. Weekend hours are 9 a.m. to 5 p.m. and during the week the hill opens at noon and closes at 9 p.m. Slopes will also be open regular weekday hours on the Remembrance Day Monday. Check the Winsport website for updates on terrain. The slopes at Nakiska are opening on Friday with "early season conditions" starting at 12:30 p.m. but will only be open on weekends throughout the month of November. The seven-day season starts on Nov. 30. "Given Nakiska's location, Calgary's closest mountain, you can work in the morning and make first turns in the afternoon this Friday," said Matt Mosteller, Senior vice-president of marketing at Resorts of the Canadian Rockies in a prepared release. 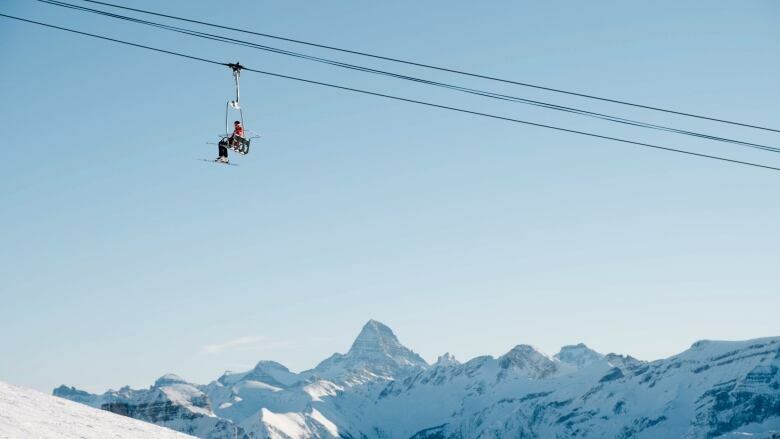 "Skiing and Snowboarding is a sport that everyone can do in winter – why not make winter better this year and give skiing and snowboarding a try." Details on what runs are open can be found on their website. Friday at 9 a.m. the Glacier Express Chair will open and give you access to Bald Eagle, Wiwaxy and Easy Street. There's also two small terrain parks open with various features — and rentals, snow school repairs and retail are ready and in full swing. According to a press release the mountain operations teams will work to open new runs, lifts and terrain park features as conditions allow. Because of the early season conditions, lift tickets will be 50 per cent off. More details and updated terrain reports can be found on their website. Bright and early, Sunshine is ready for carvers to board lifts at 9 a.m. The Wawa, Jackrabbit, Wolverine, and Strawberry Express. There's also two magic carpets ready to go and the Strawberry Terrain Park will include 17 features. There are discounts available on lift tickets and details can be found online. Most of the resorts further west into the interior of B.C. like Panorama, Kimberley, Kicking Horse and Revelstoke open in early December.